Stay up to date with the latest news is simple – you can watch TV programs, maybe listen to a special radio or read the local newspapers but even easier to know about what is happening not only in your city but also in the world with the help of user-friendly mobile news applications available in large quantities. 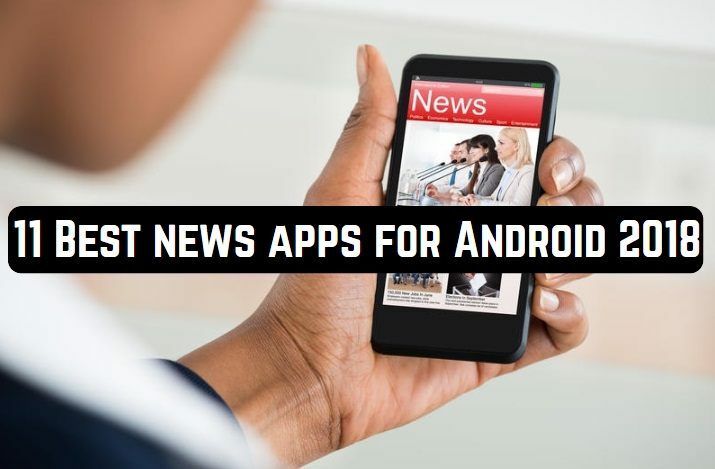 Today we decided to highlight this topic and present you the TOP of the best applications for viewing news for the Android operating system. 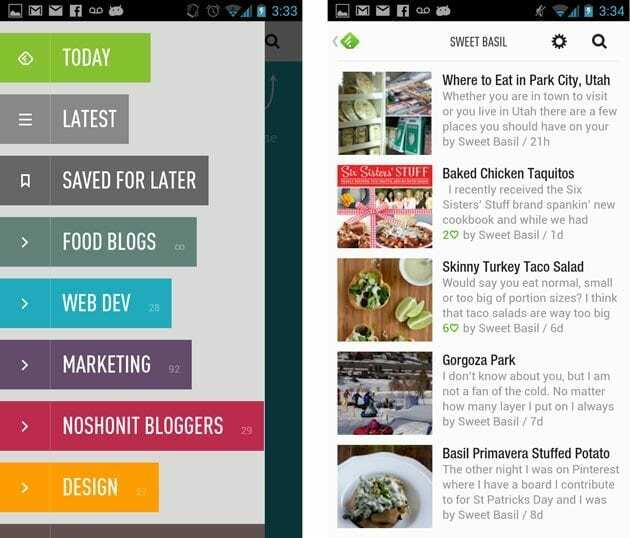 A program from the Google company opens our list of the best news apps. 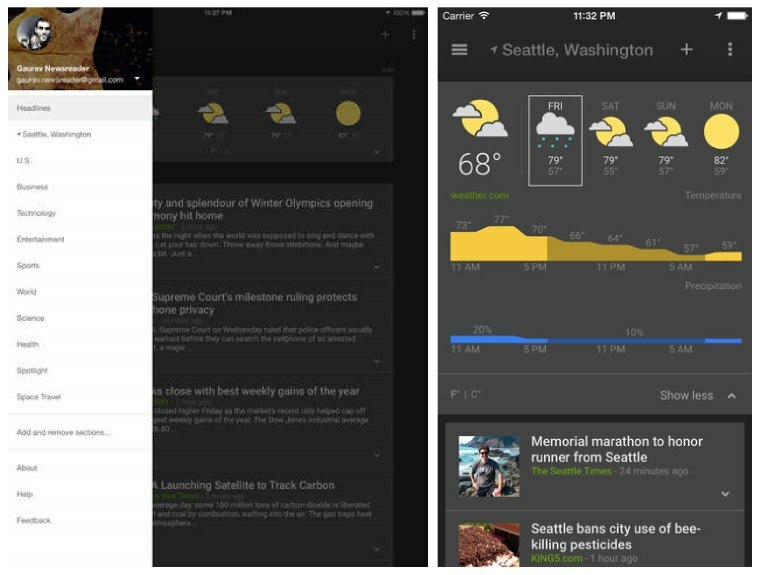 This application is designed to keep track of news and weather. To do this, a single interface with more than 65,000 sources and 16 rubrics is provided. Now at the user’s fingertips, there will be any data from Internet publications to small magazines. The main screen shows the forecast for the current day and a list of news. The forecast can be expanded and viewed in hourly form. By default, the news is shown from the same region as the user but you can select another country in the settings so that the source set doesn’t depend on geolocation. In the settings, you can also change the theme, although there are only two of them – dark and light. There is an interesting function to track specific topics, for example, you can be up to date on news about your favorite music band, specifying only its name. You can also follow any football team, a well-known person or summaries from any city. Otherwise, the concept of the application is very typical for news aggregators, you can even say that the solution from Google lacks the flexibility of the settings. In the kit with the program, there is a widget for the desktop in the form of a square. At its top is the weather bar, and below is a scrolling list of news headlines. Navigation is done laterally, and when you click on the title, the news opens in the browser. A standard viewer inside the aggregator itself is not provided in this case. In addition to the main widget, there are several additional smaller ones. Also, you can synchronize subscriptions through Google Account, which will allow you to not configure everything on a new one when installing on another device. The place in the rating of the best news applications was taken by the BuzzFeed application. 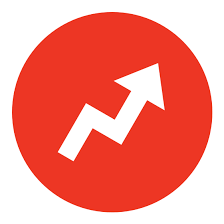 BuzzFeed is a news aggregator that collects the most relevant information from different sources. With its help, the user can get acquainted with the latest news of their world of show business, sports, politics, etc. First of all, it should be noted that BuzzFeed is focused on foreign audiences. The news here is mostly in English, and the main themes like serials or films are also devoted to western content. On the main screen of the application, there is a list of news from different categories in the form of pictures with a brief description. When you click on any of them, the full text opens in the right half of the display, and the rest of the content is transferred to the left. In this case, the user can continue scrolling the news on the left side of the screen and open any of them. If desired, any content can be shared through other applications installed on the device. BuzzFeed has a few settings, you can only change the edition, turn off notifications, etc. The change of the publication implies switching between the countries from the list, including the United Kingdom, the United States, and many others. When you change the region, the language of the news changes. In total there are 10 countries in the list, among which there is no Russia. Switching between news categories like sports, movies, politics, etc. is done using the main menu. You can also search for news by keywords. If necessary, you can log in under your account to gain access to more social functions such as reposting on Twitter, Facebook, etc. 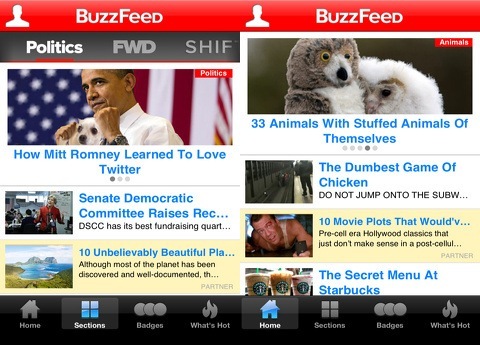 To date, BuzzFeed can be considered one of the most convenient news aggregators for Android. The application provides a wide range of tools for finding data and grouping news by category, as well as a number of basic social functions. For the Russian-speaking audience, the lack of BuzzFeed will be the lack of a regional publication and news in the native language. 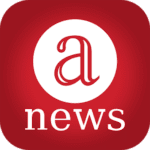 Anews: all news and blogs are an excellent aggregator application that will combine all the latest news from the leading news agencies, popular blogs, and social networks. You define the subjects you are interested in by marking the relevant tabs: sports, movies, cars, science, travel, entertainment, technology, etc. Finding the article you liked from the headings, you will switch to a full description of the news with a single touch. The material is updated regularly, which will allow you to keep abreast of all the latest developments and own operational information: current articles, photos, exchange rates, news of the economy, answers to questions about what will happen to the dollar and the euro, and much more. Navigation in Anews is extremely simple, all actions are performed by simple taps and swipes on the screen of the device. And most importantly – you no longer have to surf the Internet and open various news sites, blogs, and social networks separately – choose interesting topics, favorite sources and easily read everything and right in one application. 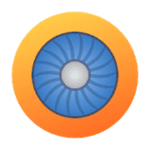 you can connect third-party RSS feeds. News360 is an application for reading news, which itself understands what a person is interested and what is important for him and finds on the Internet fresh and relevant news for him on the Internet without repetition and garbage. As you use, the News360 gets smarter, and your endless news feed is more and more interesting and useful for you. To give you a complete and objective picture, News360 collects for each story the maximum possible coverage from more than 50,000 English-language sources, as well as all photos and videos on this topic. You’ll never again miss interesting content because you were not subscribed to the right blog or person. Quickly browse the headlines of news, get acquainted with the stories and plunge into the news from more than 50,000 English-language sources: from world-famous publications to local news sites and blogs. Read the news on all topics of interest to you in one place. Use the News360 widget right on the main screen to stay informed. And even on the lock screen, if your Android 4.2 operating system. Help News360 learn by tagging the stories you like and the app will find exactly what you are most interested in but will always try to show you something new. Change and customize your interests at any time! 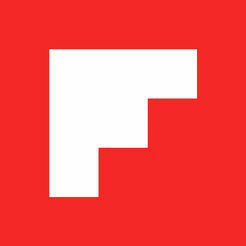 Flipboard is a personal magazine that collects current news from social subscriptions, networks and news resources. Thanks to it, you can read and share with readers interesting articles, like a video or photo. For convenient work with the application, select topics for reading and the program will automatically start creating your journal with the recommended content. You can add new topics to existing ones at any time. On the pages of Flipboard, you can find and read the most popular news publications. 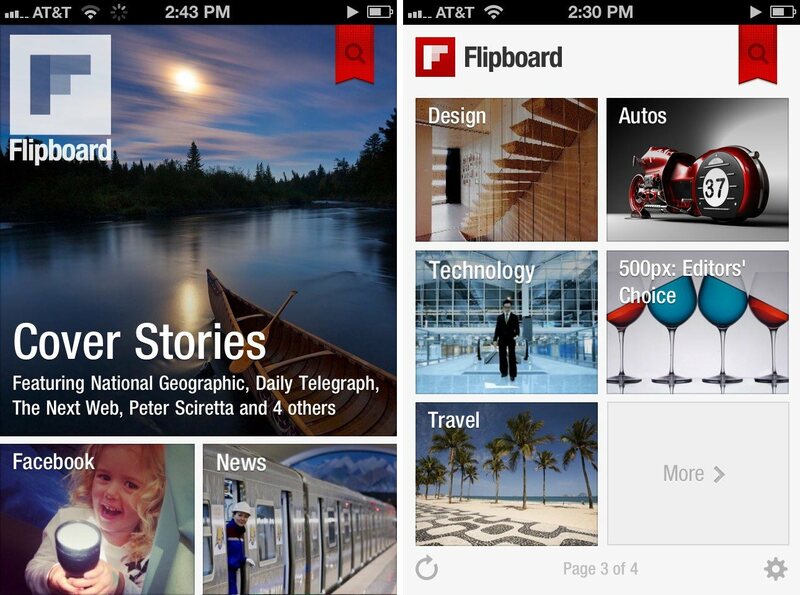 At present, there are a lot of similar applications from RSS-tapes but Flipboard is one of the first to start integrating with social networks. You can easily connect an account from Facebook, Instagram, Twitter, Google+, etc. Thanks to this step, this application can also be called a social network. After all, you can view the notes of other people and friends, as well as communicate with them, noting their news and photos. In the application, there are two main tabs – main, with popular news, and personal – with customizable themes, people, and accounts. Create your own journal, which will collect all the news you have marked. To add news, just click on the “+” button. Also, you can simply mark an article by putting a kid. 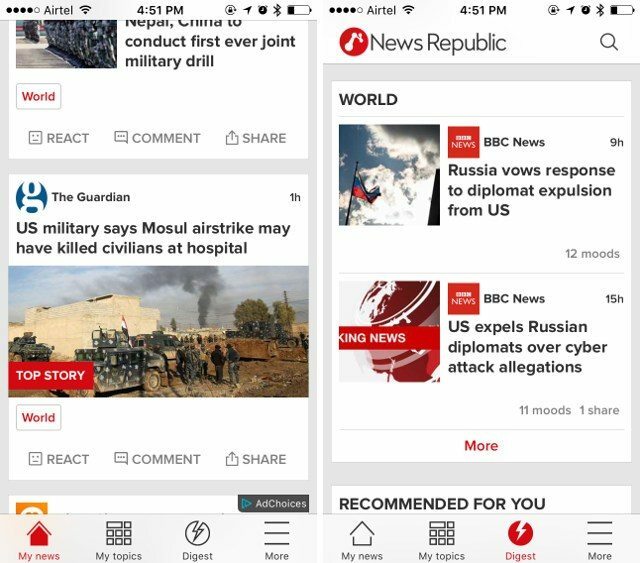 Those who like to learn the most important news as quickly as possible, probablyhave long installed the News Republic app on their Android smartphones and tablets. But if before that time you had to study foreign agendas in other ways, then with the renewal of the program you can refuse them: now News Republic has news of newspapers, news agencies, and other media from more than 1,500 providers in 40 countries. Are you interested in baseball or news from Asian markets? Do you want to know how the startup funds attract in Silicon Valley? Obtain all the necessary information from the first mouth, and don’t be content with translations with a long delay in time. Just add one of the international themes to your home screen and watch the world’s sources directly. Among the media are the British The Independent, TechCrunch, and The Verge, news agencies DPA and EFE and many others. News of almost any country now in your smartphone or tablet. That’s great, isn’t it? When reading the article, many additional opportunities are revealed. For example, the name has a smiley face. It shows the attitude of people to what they see – shock, joy, despair, laughter, pride or sadness will show how people relate to certain news. At the top there is an icon for saving information for further reading in offline mode. Useful functions are available in the additional menu (upper right): night mode, font size adjustment, source blocking, article saving and, most impressive, reading the text out loud. Google’s service clearly passes through each letter of the text and reports what happened in the world. This wonderful function will perfectly help people with poor eyesight. The news aggregator received a convenient and refined interface: a quick transition between the news, a convenient breakdown of the topics, a function to quickly save articles and digest the most interesting articles for the whole week. By the way, recently News Republic signed a significant cooperation with HTC – the application will be preinstalled on the new flagship Aero. So buyers do not even have to download it from Google Play! How often do you have to view the latest news? 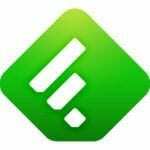 Feedly is able to significantly reduce precious time. This is a kind of news aggregator that collects all the news you are interested in and presents them in a convenient form. The application is absolutely free and doesn’t have unpleasant advertising banners. When you first start, you need to log in via Facebook or Google mail. This is necessary in order that in the future when using this application on another smartphone, all the sites selected by you are left in their places. The main screen consists of news lists that have different display forms (a list with a title without an image, a list with a title and an image, a list with a title and an enlarged image, a list in the form of cards on the whole screen when one news is on one screen) . The Feedly menu will allow you to view news by category, in our case we have added sites only from the category “Tech” since this topic will interest our readers. The application supports both horizontal and vertical screen mode. In the menu, you can switch the topic, view the last news you read, in the “Connections” section, you can connect Evernote and OneNote. In the settings, you can select the start page, in addition, there is the possibility of activating the function by which the scrolling of news will be done by volume buttons. The news page does not contain all the news entirely, but only the first few sentences, information about the source of the article and the buttons to go to Twitter and directly to the news page on the site. The news can also be saved for viewing later. 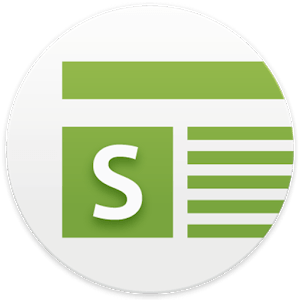 Feedly – application with a very interactive interface. When scrolling, publications are marked as read, navigation with the volume keys is possible, horizontal and vertical scrolling is available. All this significantly speeds up the management of tapes and viewing of publications. 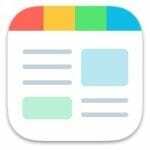 News Suite is an application for viewing news, in which the user can select interesting topics for himself and customize the news feed according to his own preferences. News Suite allows you to read the latest news, as well as add and delete news topics depending on the interests of the user. A unique interface allows you to easily switch between news feeds and news that interests you personally. The upper panel is divided into two tabs “News” and “My Web feeds”. In the first, you can read all the latest news for today, and by switching to the second one, you can see the news added to your personal list. News Suite provides an opportunity to be aware of daily events, and also to switch between tabs to learn more about what is important to you. The latest news in the News Suite is divided into categories such as business, sports, entertainment, which allows you to quickly find interesting news for you. You can switch between news categories with side-scrolling, and then scroll through the screen and read the articles. In addition, high-speed scrolling enhances the user experience with the application. Go to the “My Feeds” tab, where you can read all your favorite news. Interaction with the “My Web feeds” tab is almost the same as the “News” tab. Switch between news categories with side-scrolling, and then scroll through the screen and read specific articles. The user interface allows you to easily switch between daily news feeds and news that interests the user. 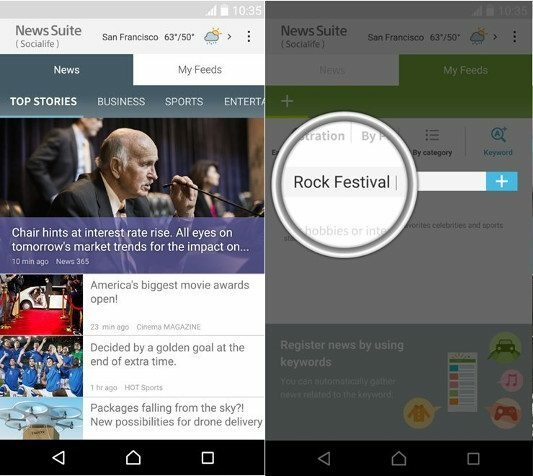 News Suite offers a variety of search options for the categories of news that you are interested in. Keyword search allows you to enter any keyword and add it to the list of categories “My Web Feeds.” By holding the category name for a few seconds, you can move or delete the category by configuring and creating a personalized news application. The design of the application is minimal, the main accent of the menu is made on the pictures-announcements and titles of articles. At the same time, there is a news roundabout in the header of the site, where the largest screen space is allocated for the main materials. This approach helps to focus users’ attention on the brightest events of the day. When you first start, you will be accompanied by many useful tips that will also introduce you to the News Suite menu. Most importantly, Sony specialists managed to make sure that neither colors nor other interface elements interfere with reading. A mobile client of a well-known news aggregator. By default, Digg shows the Top stories section, after authorization in the service using Google, Facebook or Twitter accounts, you can create your own tape by adding your own sources – from both the local resource directory and the search by name or website address. 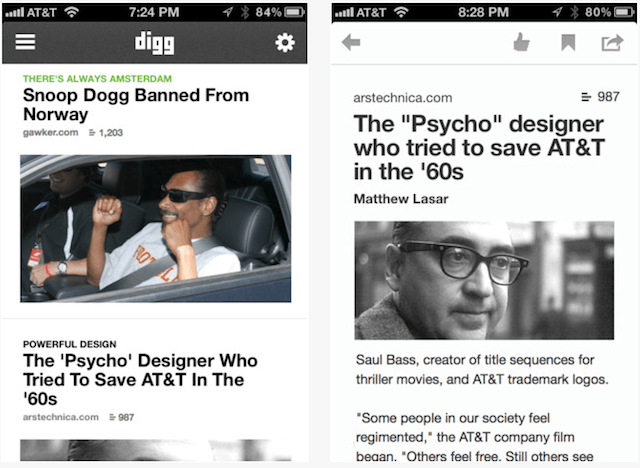 Digg supports deferred reading services – Pocket, Instapaper and Readability, and can automatically add to them all the news that the Digg user saves for reading in the future. Having opened the news, the user can switch to viewing the full version (in two ways – using the globe icon that opens the page in the Digg itself, or using the “View on …” button that launches a separate browser). 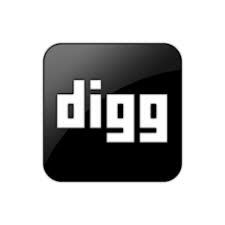 Supports the proprietary function of “voting” for the news (digg), it is possible to send the link to any installed application using the system function Share. One of the main differences between modern Digg and earlier versions of the service is a customized news feed located on the My News tab. You can fill it in various ways. For a “quick start” in this system, you can use the so-called Digg profiles. These are ready-made news channels from thematic sources, which you can subscribe to. Profiles are collected in a directory, where they are, in turn, distributed among dozens of thematic categories: from politics to computer games. Then you can select news channels for specific users of the service, and also include in your Digg subscription updates for accounts of your friends on Facebook and Twitter. The built-in search engine allows you to work with usernames or text notes. The results page contains filters of the content type (text, images, video), it allows sorting the found by the number of mentions in Digg, as well as the thematic heading and the date of addition. The strength of Digg is a good choice of applications for mobile devices, all kinds of widgets and other tools for exporting information and viewing it in a variety of conditions. In general, Digg is a convenient and “laconic” in terms of design “news reader”, free, without ads, with the necessary set of functions. 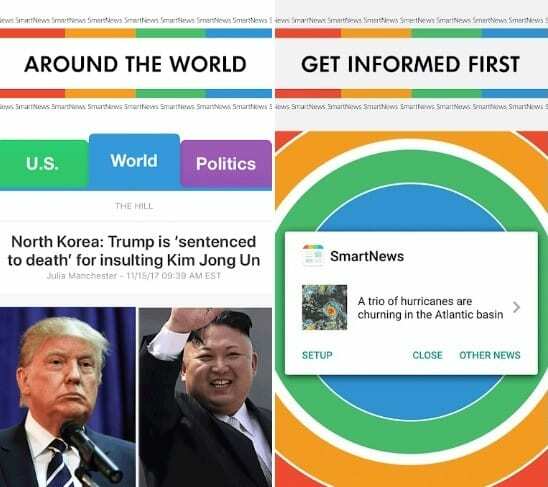 SmartNews: Trusted News and Breaking News Headlines – download the app, which has received worldwide recognition and numerous awards. It is used by more than 25 million users in 100 countries. The app analyzes the news articles to show only the best, influencing events taking place in the UK and around the world. 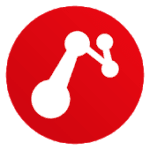 SmartNews: Breaking News Headlines is a news application for those who want to keep abreast of the latest developments in the world but don’t want to be deceived. Utility chooses news only from leading news agencies. Convenient settings – quick viewing of headlines, reading and viewing news offline, receiving notifications, searching in reliable sources. The application’s algorithms automatically show the articles that need to be read. All information is divided into categories, which greatly simplifies navigation. Thus, sports fans can learn the latest information from this area, and those interested in politics and economics quickly find out about the latest developments in this area of life. Be always up to date with world events – it’s very simple and very fast! Our list of the best news applications is closed by the BBC News app. 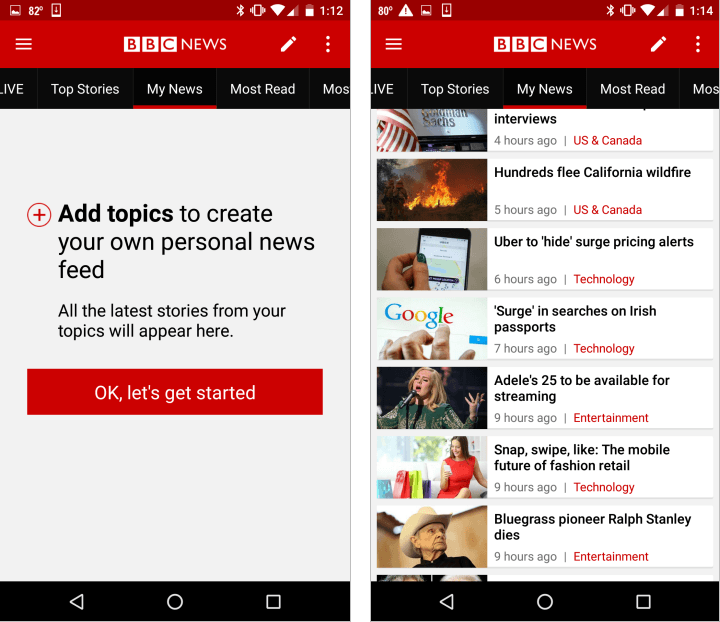 BBC News is a cross-platform application from the largest information corporation BBC. It can be used as a separate news client, as well as a widget for the desktop (if the operating system supports them). One click on such a widget or the launch of the application will provide the user with an extensive list of fresh news of various categories, or rather their headings. To familiarize with the chosen news it is possible as in the interface of the program and having passed to official site BBC. To do this, you need to select the appropriate item, to the right of the text. As practice shows – the first option is more preferable. 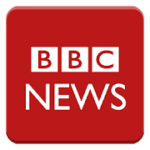 The fact is that the BBC News application itself adjusts the text so that it can be easily viewed on the screen of your mobile device. Lists of fresh news are sorted by countries and continents. The application can send notifications about the most interesting news, topics you are interested in. It is completely free and extremely easy to use. Here there is a standard news line, where the main events are displayed. Also, the user can configure the filter and view only those categories he likes. A distinctive feature of the program is the availability of news broadcasts in audio format and support for push notifications. Did someone ever imagine that you can find out any information with a gadget that fits easily in your hand? Now, fewer and fewer people are going to TVs to watch the news, as this news is just in their pocket. Thanks to the abundance of news applications for the Android operating system, you can choose the best and most suitable application for your phone, and always know all the most relevant things that happen in the world.